These are a great option for those who want to store their sheets flat instead of hanging them using clamps or carrier strips. Bases are available for these cabinets in both a low and high size. This is a great option for hanging files for quick access. 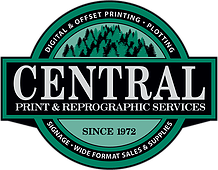 The Canon imagePROGRAF iPF780 36-inch large format printer builds on Canon’s award winning line of 5-color printers. The iPF780 device includes: a new stacker basket, and a password protected interface lock. These new features add to this already versatile print solution which is designAn all-purpose, lightweight, translucent sketching paper used by architects, designers and engineers. Ideal for sketching, detail artwork, preliminary drawings, quick roughs or protecting artwork..
30″x150′ rolld to meet the speed and precision requirements of the technical document market. The newly designed stacker basket increases the productivity of these already feature laden printers by providing the capability to neatly stack up to twenty D-Size drawings. Lightweight, professional-quality scales are made from color-anodized aluminum with printed graduations on ultra-smooth, mark-resistant surface. 12″ hollow core architect and engineering scales in silver color.